Located in the Olin Arts Center, the museum houses Bates’ permanent collections of art, including a noted collection of works by Lewiston native Marsden Hartley, who was a prominent American artist early in the twentieth century. 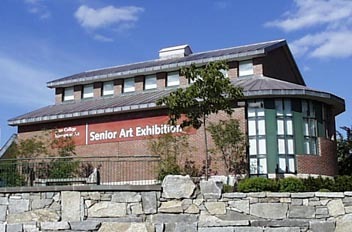 The museum attracts many visitors to its active schedule of exhibits, including those attending performances at the nearby Olin Arts Center Concert Hall. Students and visitors examine the annual Senior Exhibition.